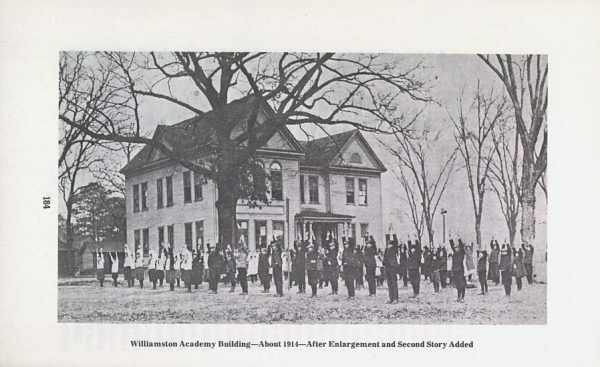 Viewing entries tagged "local histories"
The latest materials digitized from Rockingham County Public Library are online now, and oh are they wide-ranging. Included in this batch are church bulletins, postcards, audio recordings, local histories, genealogical records, and even an intricate cross stitch of Rockingham County’s not-quite-neighbor, Person County. Many of these items recount the history of the towns of Leaksville, Draper, and Spray before the three were consolidated into a single town, Eden N.C., in 1967. One of these is the book Leaksville-Spray, North Carolina: A Sketch of its Interests and Industries, which is one of only two copies known to exist today. It gives extensive details about textile and other manufacturing industries in the area during the early twentieth century. Other materials included in this batch were created well after Leaksville, Draper, and Spray were incorporated as Eden. The song “The Ballad of Leaksville, Spray, and Draper,” written by Leaksville native John Marshall Carter, laments the merger of the three cities with its chorus of, “I can’t believe that they’ve done this to me, I can’t conceive that they’ve killed history.” This song along with “Olden Days” were digitized from an original 45 rpm record. “Published Sporadically But Enthusiastically” reads the tagline on the first edition of the Farmer’s Advocate Newsletter. 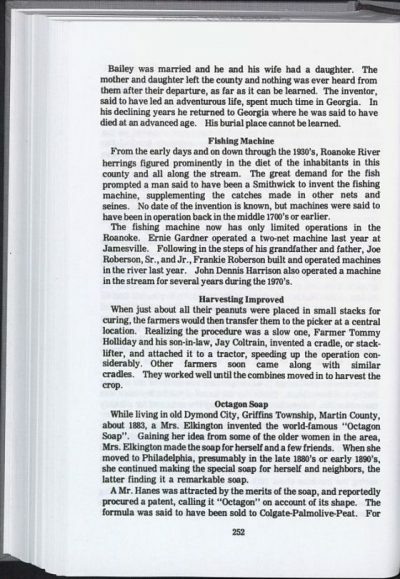 Also digitized were 70 editions of The Farmer’s Advocate Newsletter from the Historic Jamestown Society — a group dedicated to the preservation of the stories and structures of Jamestown N.C. — spanning from 1975 to 2018. Rockingham-area genealogists may find some gems in the records of family reunions, vital statistics, church publications, or cemetery survey included in this batch. All of the items from the most recent batch can be accessed here. To learn more about the Rockingham County Public Library, visit their partner page on DigitalNC or their website. In the early days of the North Carolina Digital Heritage Center, we digitized thousands of records created during the Durham Urban Renewal Project. Recently, we revisited these records with the intention of making them more accessible and useful to our partners and the public. The Durham Redevelopment Commission was established in 1958 with the intention eliminating “urban blight” and improving the city’s infrastructure as more and more personal vehicles filled the city’s streets. Durham Urban Renewal targeted seven areas — one in Durham’s downtown district and six in historically black neighborhoods including Hayti and Cleveland-Holloway. The projects in these six neighborhoods impacted approximately 9,100, or 11.7%, of Durham citizens at the beginning of the project in 1961. Although the initial timetable for the project was ten years, the project efforts went on for nearly 15 years and was ultimately never completed. By the end of the urban renewal efforts, more than 4,000 households and 500 businesses were razed and a new highway — NC 147 — stretched through the heart of Durham. Some structures included in the collection, such as the second home for the main branch of the Durham Public Library, outlived the urban renewal project and still stand today. This building is located at 311 East Main Street. The Durham Urban Renewal Collection contains studies, reports, appraisals, property records, photographs, brochures, and clippings that span the nearly 20 years of urban renewal projects. These materials are artifacts of Durham before, during, and after urban renewal dramatically altered the city. In an effort to make these materials as accessible and accurate as possible, we recently completed a major cleanup of the collection. Properties are now listed by complete street address. Many of the residential properties — and some commercial properties — were appraised more than once during the urban renewal process. We have consolidated all appraisals, photographs, and other records for individual properties into single listings, and text in these records are full-text searchable. We also used historical maps of the city from the years of urban renewal to provide additional information for unaddressed or mislabeled appraisals and records. In addition to the changes made to improve accessibility by address, we made efforts to ensure that the names of property owners are complete, accurate, and consistent across the collection, so that records may be located more easily in searching by the owners’ names. 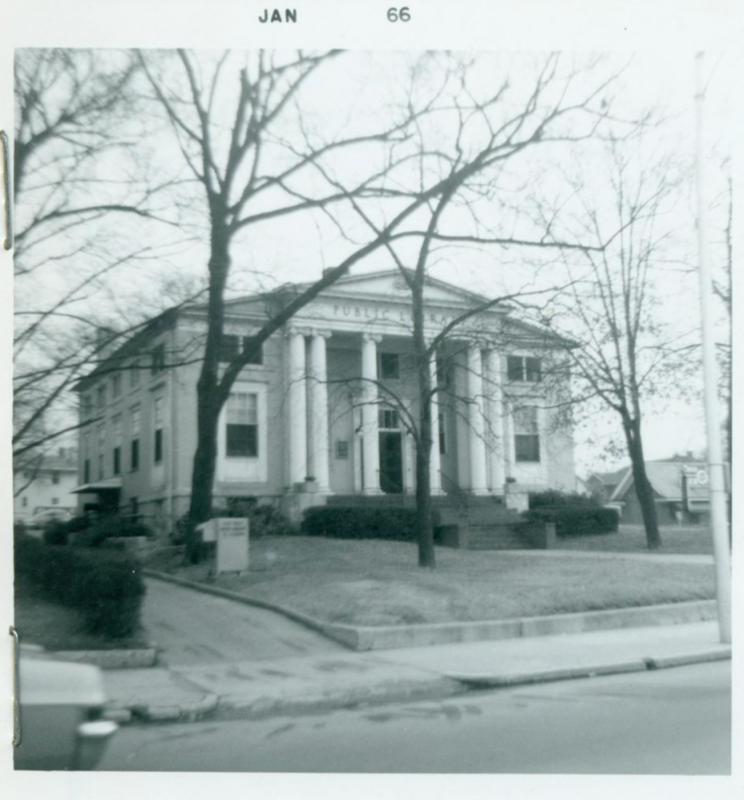 The materials in the Durham Urban Renewal Collection came from Durham County Library’s North Carolina Collection and are only a portion of the materials contributed by the library to date. To learn more about the Durham County Library, visit their website or partner page.